This chandelier is notable for its beautiful carved giltwood frame, its elegant clear cut glass chains, and jewel-like multi-coloured glass pendants. 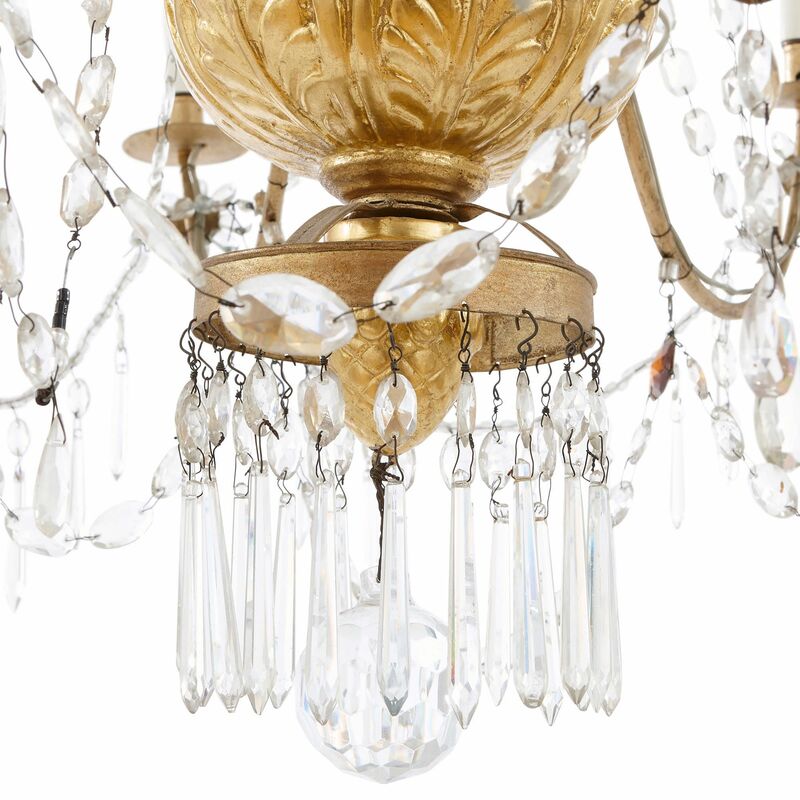 The chandelier is comprised of a central giltwood column, with a bowl-shaped base. This base is decorated with carved foliage and it terminates in a pinecone finial, which is encircled by a brass ring, suspended with a circle of clear cut glass ball and spear pendants. From the giltwood bowl, there springs eight brass arms, which elegantly curve outwards to hold wide drip-pans and simple capitals, with white candle-tubes. Beneath the drip-pans are giltwood rosettes with clear glass petals. 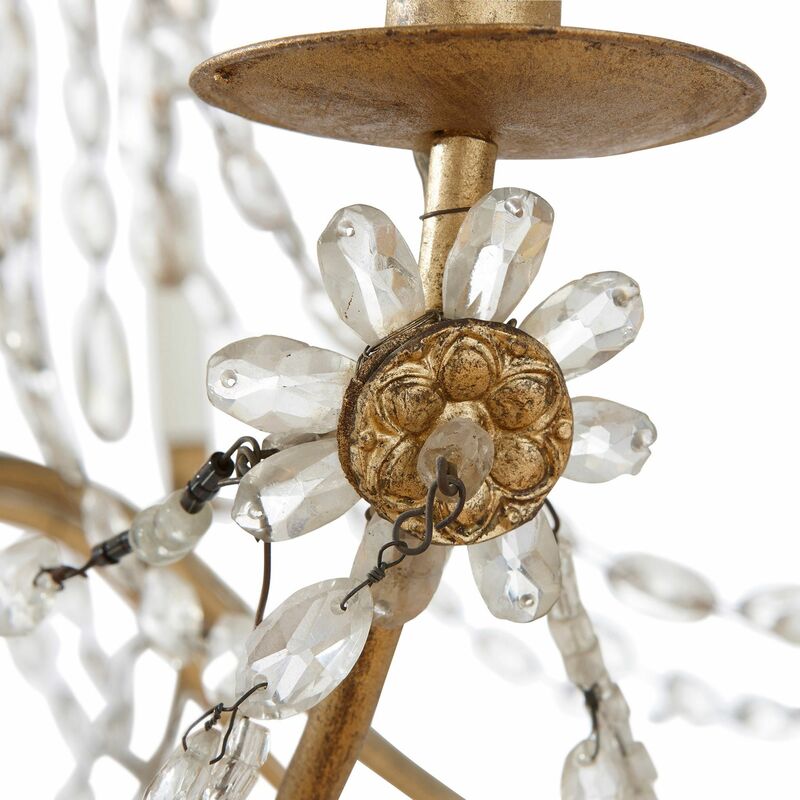 Chains of clear, cut glass balls and spears are draped between the arms, from these rosette features. Slightly higher up, the giltwood column is encircled by a second brass ring. 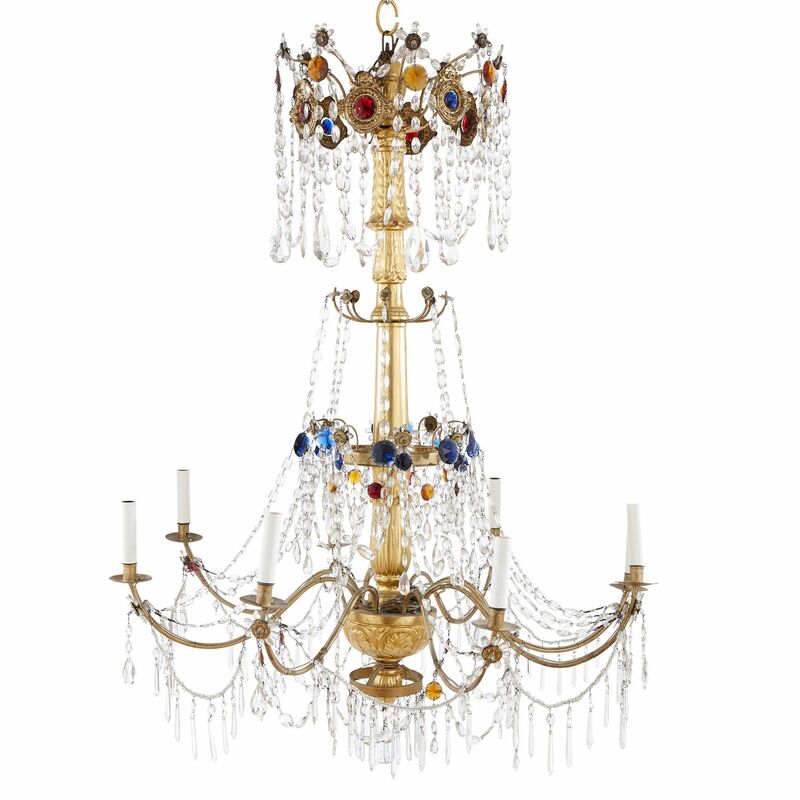 This is fitted with short brass arms which end in giltwood and clear cut glass flower motifs. 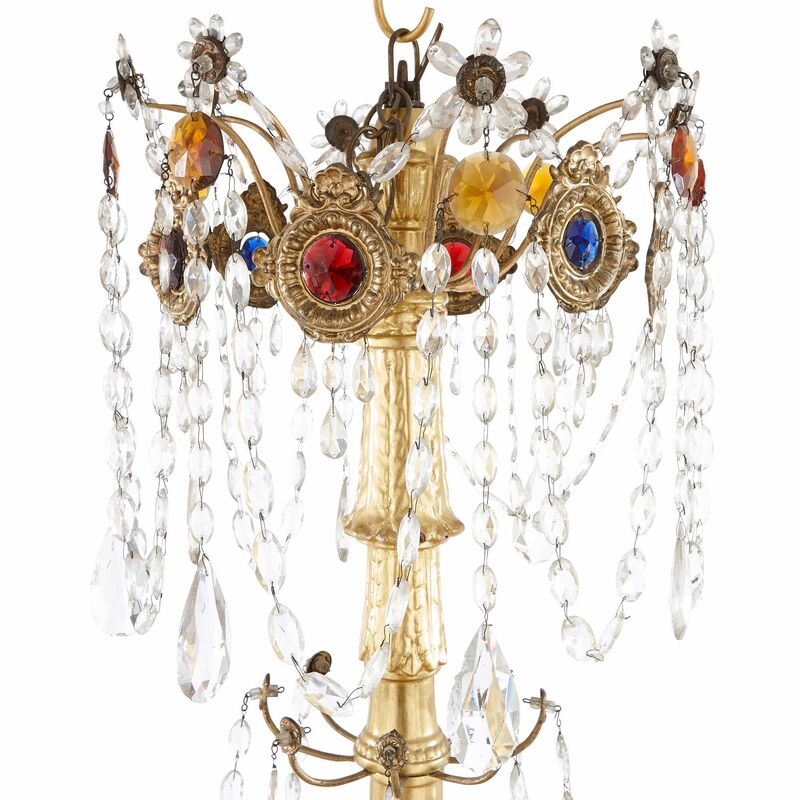 These are decorated with blue, red and orange cut glass balls, and chains of clear cut glass prisms. 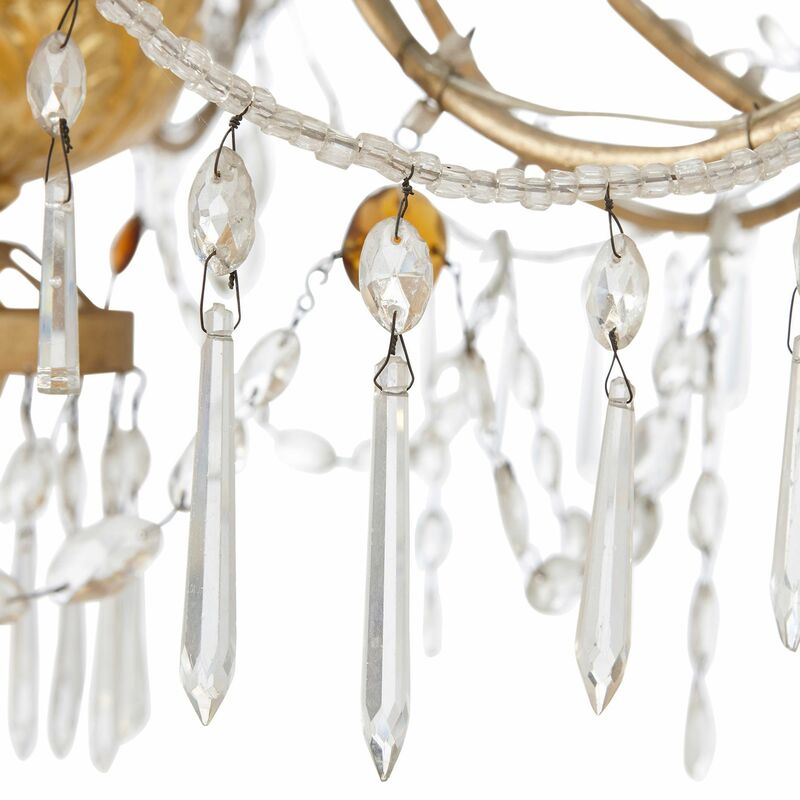 More clear glass chains are draped between the brass ring and the candle-holder arms of the chandelier. Some chains also extend upwards, from the light holders to a third tier of brass arms. Above, the giltwood column is crowned by a top canopy, composed of several short brass arms with glass flower tips. Orange cut glass pendants hang from these flowers, and are draped with clear glass chains. 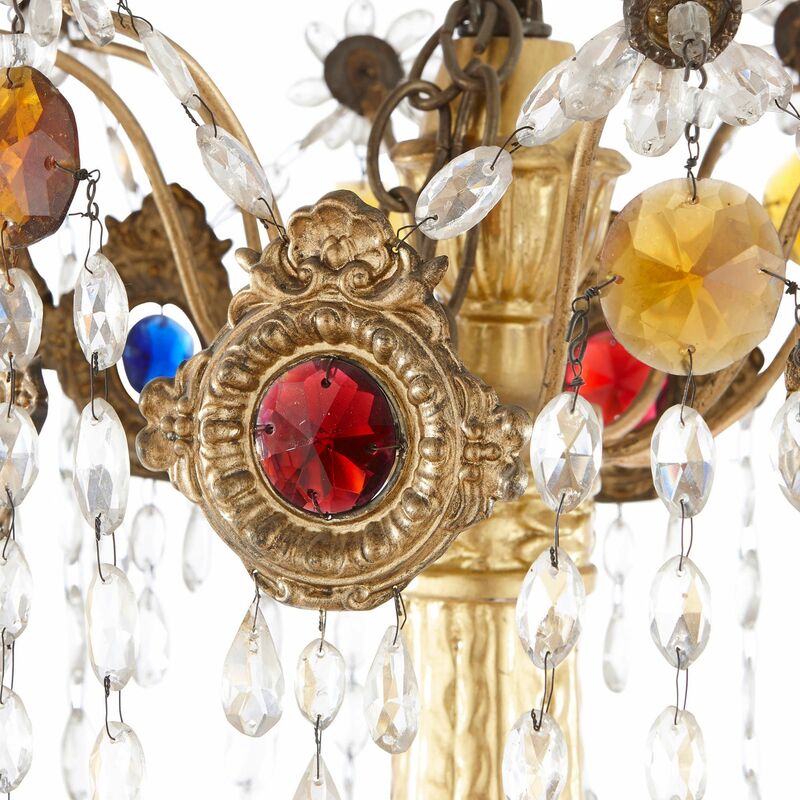 Red and deep blue cut glass pendants, within carved giltwood cartouche frames, are also suspended between the flowers.